Last week, I joined a facebook group for the webcomic Overcast With A Chance Of DOOM! After I got accepted into the group, I came across this image that one of the other members had posted. This got a big laugh out of me. 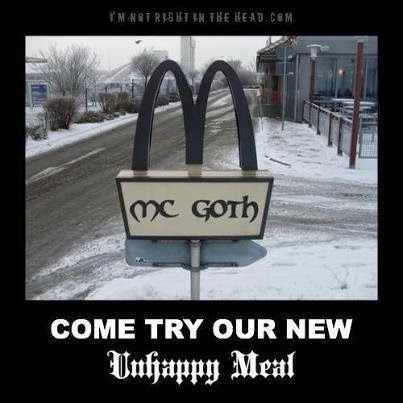 If such a restaurant existed, what kind of food would be served there? Also, what kind of toys would be in the unhappy meals?